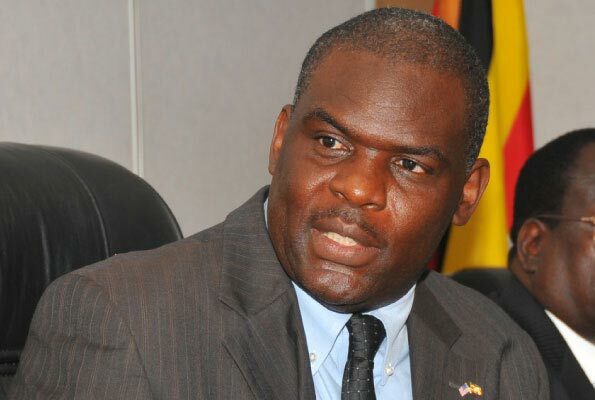 KAMPALA– The Director of Public Prosecutions (DPP) Mike Chibita, has withdrawn corruption charges against the former Red Cross Uganda boss Micheal Richard Nataka. The decision by the DPP was confined in his withdraw form dated November 14 addressed to the Kololo-based Anti-Corruption Court. “This is to inform court that the Director of Public Prosecutions has decided to discontinue proceedings against Nakata Micheal Richard, charged with two counts of abuse of office,” reads in part the DPP’s withdraw form to court. The same withdraw form was copied to the Resident State Attorney at Anti-Corruption Court and the Regional CID officer KMP East Region. Mr Nataka was facing two counts of abuse of office while he was still in office. The charges were in relation to alleged making of false declarations, illegal transportation and later taxation evasion for a motor vehicle using the privileges accorded to Red Cross Uganda. It was alleged that Mr Nataka imported goods valued at between sh500m and sh800m using the URCS’ name. The goods were found at his home in Munyonyo a Kampala suburb. The prosecution had further stated that Mr Nataka, between the month of February and June 2013 at the URCS, national headquarters Rubaga, Kampala, allowed the importation of a motor vehicle that belonged to an individual in the same container transporting a consignment belonging to the URCS. Court documents had also indicated that between May and June 2013 at Red Cross headquarters, Mr Nataka sought an exemption of taxes from URA in respect of a motor-vehicle Toyota Tundra belonging to an individual, which was declared on customs bill of entry as part of the list of vehicles for which URCS sought exemption from URA, well knowing the said vehicle did not belong to URCS.